This is no ordinary day. Jennifer Bergman Weddings brings your wedding dreams to life by honouring your vision and helping you throw one top class, unforgettable party. Devoid of everyday bridal typecasts, our award-winning boutique planning and design firm executes timeless and imaginative weddings worldwide, turning your event planning butterflies into starry eyes and day-of goose bumps. Whether you’re a discerning couple wishing to be involved in every detail of the event, or busy professionals looking for someone to turn the stress of playing host into something effortless, we’ll define a working relationship that meets your nuptial needs – and we have the track record to prove it. Jennifer Bergman Weddings has planned and executed hundreds of weddings and events – from the majestic Canadian Rockies to luxurious international locales such as Los Cabos, Scottsdale, Jamaica and Miami. Many have been featured in prestigious national and international wedding magazines and blogs, including WedLuxe, Style Me Pretty, Elizabeth Anne Designs, Junebug Weddings, Weddingbells, Blush Magazine and Bridal Fantasy. JBW has been honoured with a Canadian Event Industry Star Award for Best Wedding Under $75K, and a WPIC Award for Best Destination Wedding. Picture something glamorous and regal; something minimalist and modern; something boho-chic and Moroccan – your vision is about to become a reality. Let’s get started. Renowned for her cutting edge approach to event design and astute insight into the needs of her clientele, Jennifer prides herself on bringing the joy and emotion of each occasion to the forefront of your day. She believes that professionalism and an open line of communication with each couple is integral to achieving an event you’ll be ecstatic about for years to come. 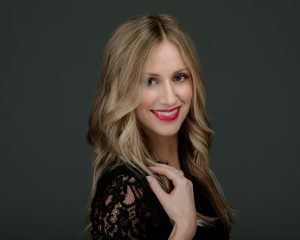 Based in Edmonton, Alberta, Jennifer has a Bachelor of Commerce specializing in Marketing from the Alberta School of Business and is a Certified Wedding Coordinator through The Wedding Planners Institute of Canada. Prior to launching JBW in 2008, she gained crucial event planning experience organizing large, multi-day conventions, and honed her creative and design skills working on national advertising campaigns. Jennifer has served on the Board of Directors for the Alberta School of Business Alumni Association and the International Live Events Association, and donates her time and event planning skills to the Stollery Women’s Network. A fitness enthusiast, Jennifer enjoys running, yoga, soccer and basketball, and loves exploring new parts of the world with her husband, Sean. Suzanne started with JBW as an intern in 2013 and has since become an integral part of the team, working up to her current role as Lead Planner. Raised on a farm with a large family, Suzanne attended many weddings growing up, developing her love for weddings at a young age. 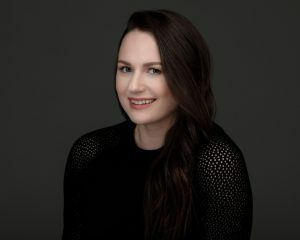 She has a true passion for event planning and enjoys every aspect of this crazy job – the heavy lifting, multitasking, working with fellow wedding professionals, and above all – helping make a couple’s day run seamlessly so they can fully immerse themselves in the experience. Suzanne is a trained makeup artist and has a diploma in Fashion Apparel and Technology, which is where she gets her keen eye for design and detail. Her warm disposition and resourcefulness make her a calming presence on a wedding day, and she’s always prepared for anything that comes her way. After travelling the world, Elyse earned a Bachelor of Arts from MacEwan University in 2014 before transitioning into events full time. She has since gained extensive experience on weddings of all sizes as a Décor Specialist and Wedding Coordinator for a local event rental company. With dozens of weddings under her belt, Elyse took the reigns as one of our Lead Coordinators in 2017. 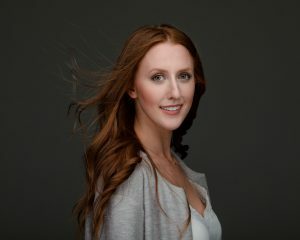 Elyse has a passion for weddings and takes pride in taking a client’s vision and creating an unforgettable experience. 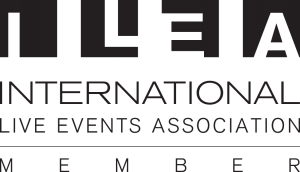 When she’s not making wedding dreams come true, you’ll find Elyse volunteering as the VP Finance for the International Live Events Association, Edmonton Chapter, and planning her next exotic trip.